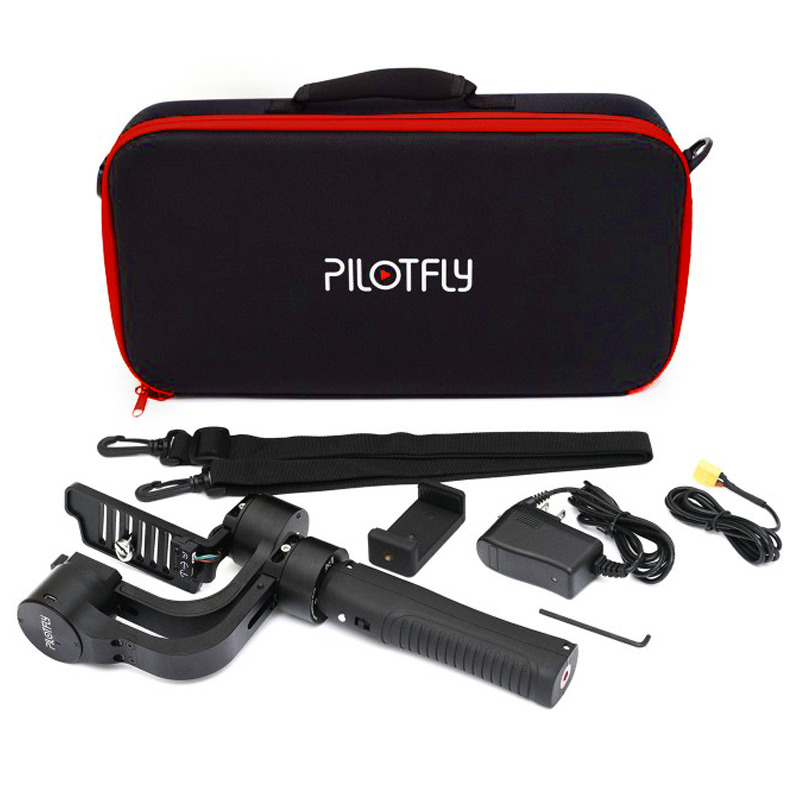 The Pilotfly-H1+ handheld stabilization gimbal with the most advanced technology gives you an immersive experience for your photo and video shooting. The 32bit technology and the 2 IMU sensors offers you a more powerful shooting experience then ever before. 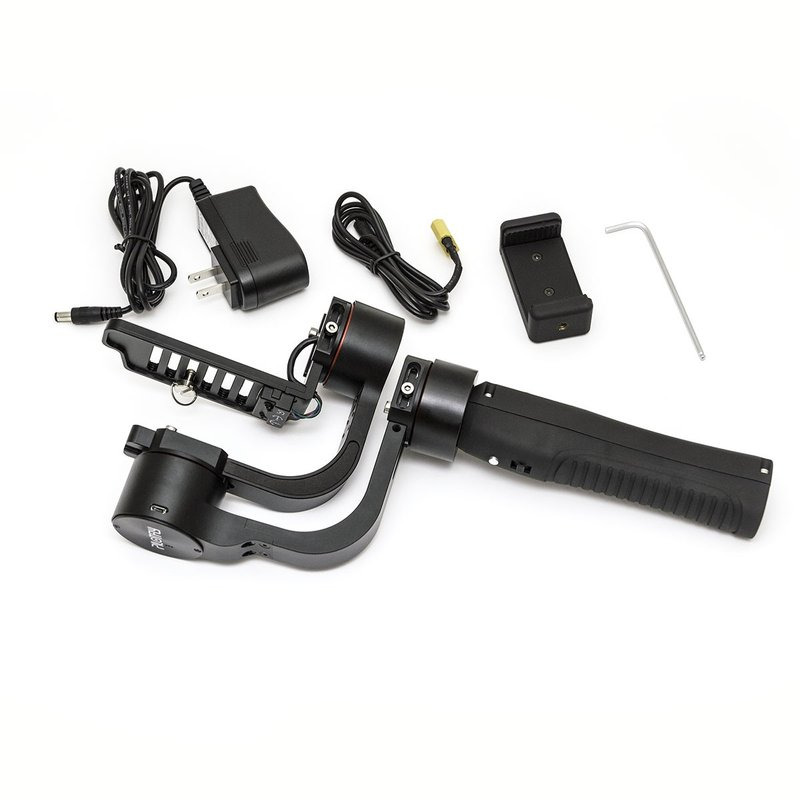 The ergonomic handle manufactured of engineering plastic has a built-in battery, equipped with an easy to use mode button and rock switch. The 3-axis of the gimbal consists of a CNC aluminium alloy construction which provides a massive, stable and reliable video experience. 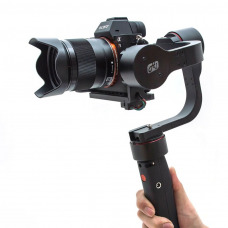 Our own developed brushless motors can support a payload up to 1200gram which provides the user a high flexibility of the camera & lens configuration. The Pilotfly-H1+ is a master piece of engineering with an elegant design, high versatility and mobility, which opens a new area of video shooting experience. 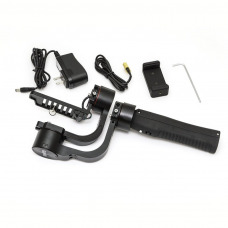 ● Elegant design and easy to adjust the center of gravity. All three axis (Pitch, Roll and Yaw) can be perfectly adjusted in just about 5 minutes. 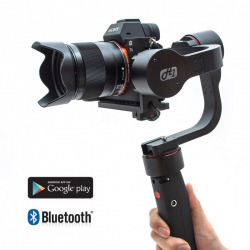 ● External battery can be easily plugged in to extend the video shooting time. ● High versatility by supporting a variety of cameras. Need with a Quickrelease plate or balance plate for FE24-70mmf4 , 16-35mmF4. ● Extremly high accuracy and stability due to two integrated IMU sensors. ● Temperature calibration supported to ensure high reliability under different working conditions. ● 5 User-configurable modes of system operation with a toggle button. 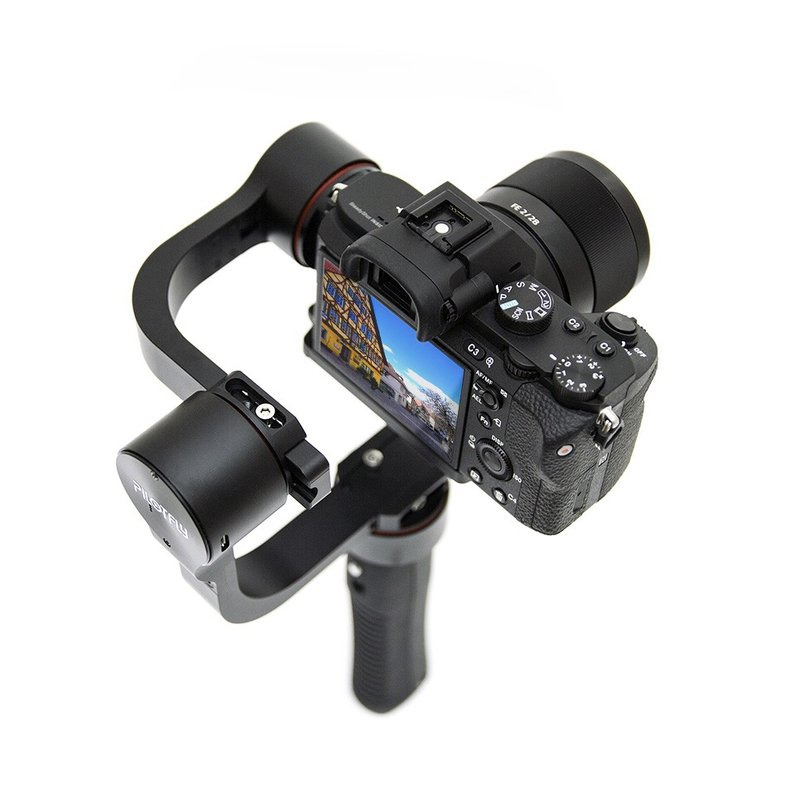 ● Pitch and Roll angle can control by slider button. ● Adaptive PID-algorithm for preventing vibrations. ● Low Voltage Directive to protect the battery. ● System beep sound alert for Low Voltage / Using mode change / Calibration. ● Possibility to manage the system on different platforms :Desktop systems: Windows, MacOS, Linux. The firmware of the controller is user upgradable (through the GUI).